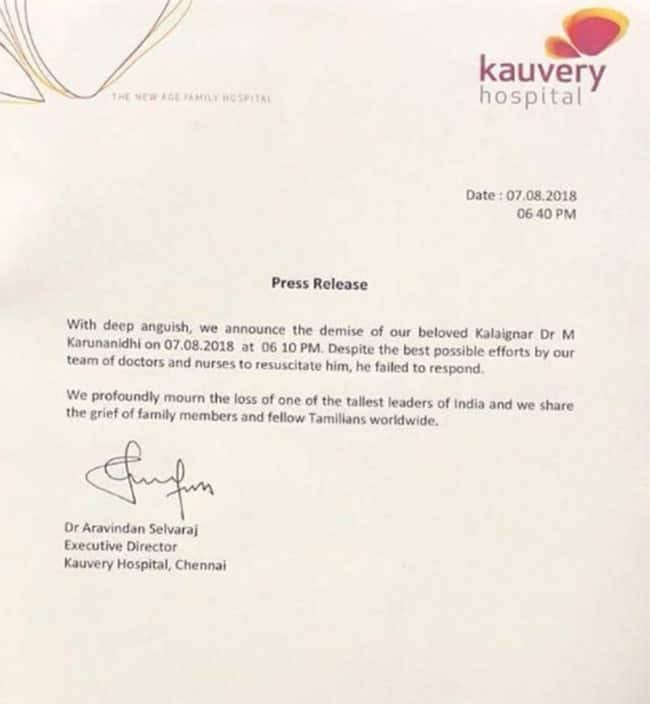 Karunanidhi, a five-time chief minister of Tamil Nadu and the DMK president for 50 years, died in Kauvery Hospital here at 6:10pm, said a medical bulletin released by Kauvery Hospital in Chennai at 6:45 p.m. He was 94 years old. 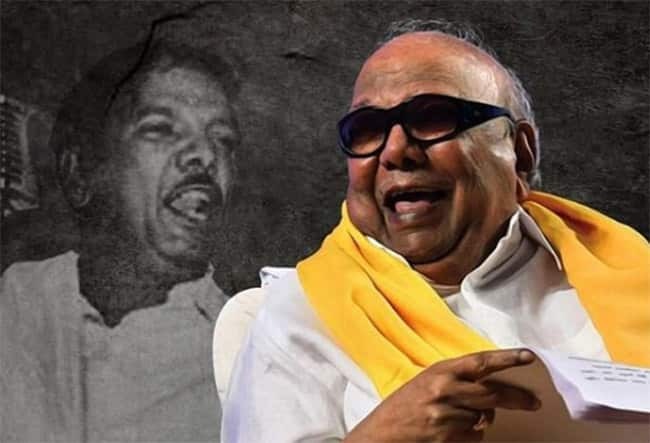 Karunanidhi, who was suffering from urinary tract infection and he was being treated with intravenous antibiotics and fluids at his residence. Mr. Karunanidhi was admitted to the hospital following a drop in his blood pressure in the early hours of July 28. Since then the five-time Chief Minister's medical status has gone through ups and downs. After a setback on July 29, he continues to be in hospital due to age-related ailments, and is under "active medical support". 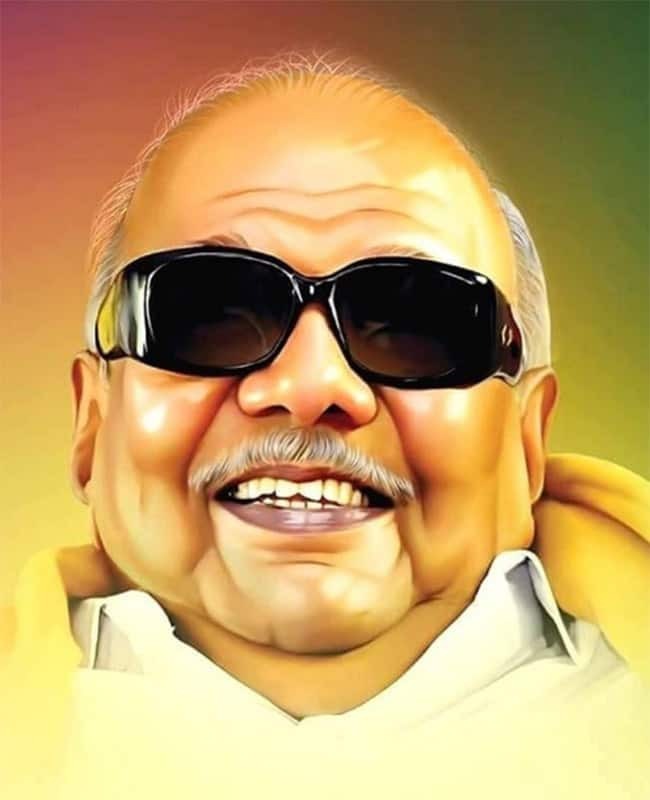 "With deep anguish, we announce the demise of our beloved Kalaignar Dr. M. Karunanidhi on 07.08.2018 at 06.10 pm. Despite the best possible efforts by our team of doctors and nurses to resuscitate him, he failed to respond. We profoundly mourn the loss of one of the tallest leaders of India and we share the grief of family members and fellow Tamilians worldwide." The DMK workers and supporters are thronging outside Kauvery Hospital. 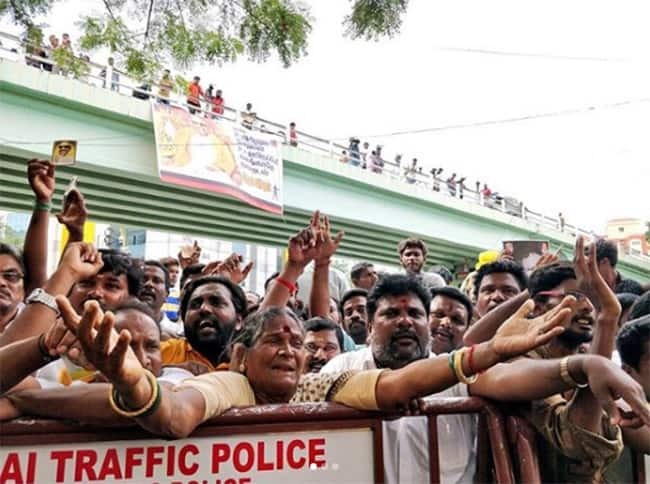 The road leading to the hospital has been barricaded and supporters are now occupying the nearby flyover. Banners praising Mr. Karunanidhi are being erected. Prayers and cries of "Ezhundu vaa thalaivaa" echoes.